Inspired by the solar eclipse of August 21, 2017, the Totality Chandelier is made of blackened steel and polished brass and casts rotating shadows. A coffee table or night stand constructed of sheet brass and mirror polished to reflect its surroundings. A concept design for a entryway console table. A book/ display shelf designed and made in collaboration with Reed Hansuld. Modular wooden shelves can shift and slide to allow for many different orientations of display. 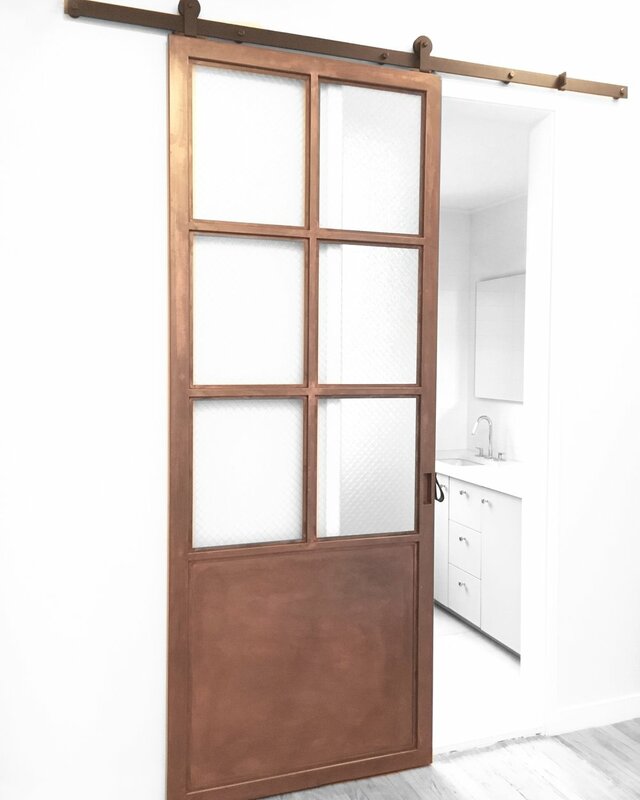 A commissioned copper patinated steel door for a luxury manhattan apartment.